Good Girl Gone Redneck: Rolling a 2!!! So I'm a total dork and I can't believe I have 222 followers. I'm a big fan of these kinds of numbers, and it's perfect timing, as I was just contacted about hosting a giveaway, and I figured, why the heck not? I'll do it when I hit 222, which happened tonight. So here we are. I figured you readers like freebies, or at least if you don't, I know I usually do, so maybe some of you will be convinced to go for it? Who knows!?! The giveaway is for a book (go figure!). 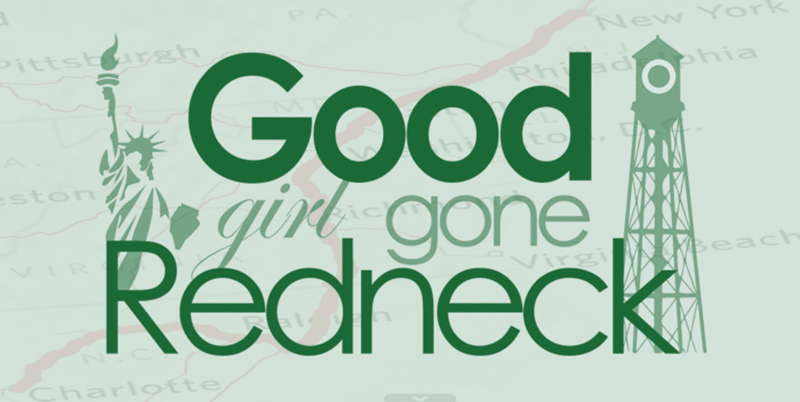 But it's not your typical Good Girl Gone Redneck kind of read. It's called Slob Proof! 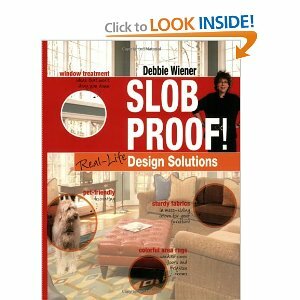 Real-Life Home Decorating Solutions, by Debbie Weiner. 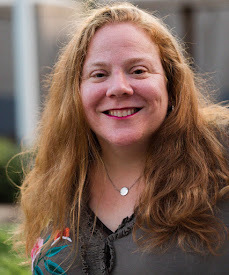 Debbie is an interior designer, with a focus on keeping your home a perfect mesh with your style, while at the same time ensuring that you purchase the kinds of items that you'll be able to keep clean for years to come. And who doesn't want that? I mean, make an investment in your decor you'd rather not have to change it down the line after the milk has been spilled or the cat knocks over a bowl of Spaghetti-Os all over your couch (true story, but thank goodness NOT my couch, our kitchen island - yeah, thanks, hubby) because you walked out of the room, turned your back for just a minute ... well, you get the picture! So, let me tell you how to enter if you want to win a copy of this book. Mandatory Entry: Tell me about the WORST mess/spill experience you've ever had. Come on, fess up. Whether it was at home, or out and about, what happened? The winner will be drawn on Saturday, July 17th. Simple enough, right? I mean, what the heck, it's a free decorating book, and the reviews on Amazon seem pretty favorable. By no means am I the best at home decor, which is why you're not getting a book written by me on the same subject matter. Have a slob at home? Enter today! oooo ooo. I get to go first!! Worst spill: Toddler spilled Drain-O on the carpet. Needed to replace the entire upstairs carpet when we sold our house. Just thankful it wasn't worse and nobody drank any of it! When I was in high school I was babysitting the neighbors' two boys who were maybe 9 and 11. Things were going fine until a mouse (!) ran across the living room. Their cat, Jordan, went all cat-crazy trying to get the mouse. Madness ensued with the boys chasing the cat who was chasing the mouse. The mouse headed straight into the pantry, and somehow the cat propelled itself up onto one of the highest shelves, knocking down a bulk-sized ONE GALLON JUG of soy sauce. You guessed it - that sucker busted and I was cleaning up a gallon of soy sauce. The parents walked in a couple of hours later and said, "Why does it smell like Chinese food?" It was months before the smell went away! I follow you on Twitter! @meandertail! Ok also. Worst mess/spill? I think it was when my brothers iguana knocked over the Christmas tree. Most memorable, anyway! Worst spill/mess? Traveling from NY to MO with nervous cat. Standing in airport ladies' room, scooping cat poop and pee out of bottom of cat carrier with one hand, and holding cat inside carrier with the other hand. And on subsequent legs of our trip, you know my seat mate thought the smell was coming from ME...yikes. My worst experience of spills. Hmm the only one that comes to mind was at a dinner party a friend spilt a huge glass of wine all over our brand new velvet couch. Panic and Mayhem! and out came the iodized salt so I was saved from committing a bloody crime LOL!